UC Santa Barbara’s Associated Students Senate passed a resolution that made several changes to the student government bylaws, specifically those that affect UCSB’s election board, during its Wednesday night meeting. The resolution, authored by Off-Campus Senators Rafael Cornejo and Ashley Ng, made amendments pertaining to election regulations, executive vacancies and the election calendar among others. The two serve as the Senate liaisons to the board. Cornejo, a fourth-year political science and Chicano and Chicana studies double major, said he worked with the Elections Board and its advisor, Ruth Garcia Guevaraok, to make the Legal Code changes. The changes are split into several parts. A candidate who runs in the general election for an executive position must be a registered undergraduate student for both the Winter Quarter before the election as well as during the general spring election. In order to actually hold an executive office, the candidate must also fulfill the same requirements. An executive office must be declared vacant during a Senate meeting if there is the removal, disqualification or resignation of an officer. The “disqualification” portion is an addition to the previous version of legal code. Candidates can now use a preferred name when running. They have the option to either use their legal name or the name as it appears on student records for the ballot. Candidates are no longer required to attend the mixer/event/retreat that is typically held following the declaration of candidacy meeting. Any candidates involved in violations that “may have led” to party disqualification will be disqualified, while the remaining candidates will run as independents. Previously, all candidates who were running with a disqualified party would be prohibited from running in the year of the party’s disqualification. Submission for declaration of candidacy forms for the Spring Quarter general election will begin on the Wednesday of week seven of Winter Quarter, and will continue until Wednesday of the ninth week of Winter Quarter. Active campaigning is prohibited until Tuesday of week three of Spring Quarter at 8 p.m. It was previously prohibited until Wednesday of week three of Spring Quarter. Recruitment events will begin the Sunday of week six of Winter Quarter, as opposed to week five. Recruitment plans, materials and agendas must be submitted to elections board by the Friday of week five of Winter Quarter. Campaign boards now cannot be set up before the start of soft campaigning. Candidate forums are mandatory except for class conflicts, severe illness or extenuating circumstances, which must be approved by the Elections Board. The final ballot must be approved by Senate no later than week two of spring quarter, as opposed to the previous deadline of week nine of Winter Quarter. Distribution of the votes will be handled through the proportional Scottish Method. Students cannot vote for the same candidate more than once or rank them in the same position twice. All the votes above the minimum threshold are proportionally distributed among the next available candidates. The mandatory candidate orientation meeting will now be held during the ninth week of Winter Quarter, rather than week eight. Parties will be held accountable for any “inappropriate campaign engagement” that may be done by party supporters. Party slate forms must be turned in during week nine of Winter Quarter rather than the previous week eight. A.S. spaces, revenues, spaces, staff or resources cannot be used while endorsing or opposing fee initiatives, referendums or petitions, unless it is educational. Elections Board “shall maintain the right to refer any complaints” to the correct entity, which includes, but is not limited to, Judicial Council, Judicial Affairs or Residential Housing Association (RHA). Intent to put an initiative, petition or referendum on the ballot is due by Friday at 4 p.m. during week one of Winter Quarter. For a fee initiative or referendum to be included in the ballot, signatures need to be collected beginning the sixth week of Winter Quarter and must be submitted by the eighth week of Winter Quarter. If there is a special election, the voter threshold will be determined by Elections Board. Once elections results have been ratified, any violations or complaints about the elections will deferred to the Attorney General rather than Elections Board. The resolution was student-sponsored by Elections Board Chair John Paul Renteria and former Elections Board Chair Davis Quan. Renteria did not respond to request for comment. The legal code acts as the governing outline of Associated Students (A.S.), outlining how Senate acts during meetings, what rules candidates need to follow when running for executive positions and so on. 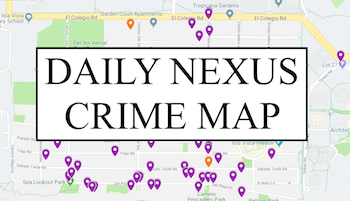 Evelyn Spence is the county news editor at the Daily Nexus and can be reached at news@dailynexus.com or evelyn@dailynexus.com. A version of this article appeared on p. 5 of the Feb. 7, 2019 print edition of the Daily Nexus. 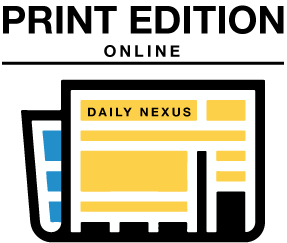 There are more A.S. related articles than ANY other topic in the Daily Nexus yet there is NO A.S. SECTION OF THE WEBSITE. Please please please put these articles in their own area so I don’t have to see it every time you guys put out new articles.